Use these tips to turn new hires and seasoned pros alike into masters of support. Editor’s note: This post has been updated for accuracy and freshness. The original version first appeared on the Groove blog on April 7, 2015. What’s the difference between a support team that simply does support, and one that’s really good at it? If you follow this blog, you probably already know the answer. Investing in delivering excellent customer service is one of the most valuable things you can do to grow your business. Numerous studies have shown that happy customers buy more, they buy more often, and they tell their friends to buy, too. In fact, a happy customer, on average, tells nine people about their experience. The benefits of having happy customers are undeniable. Having happy customers starts with having great customer service, and having great customer service starts with effective hiring and training. 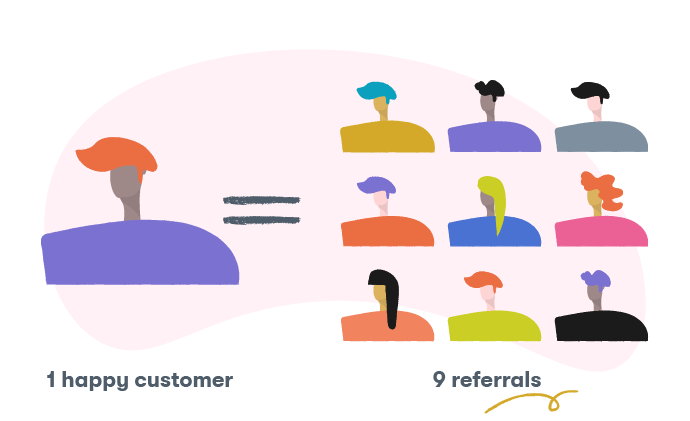 Today, I’m sharing a guide to customer service training that will help you get new hires up to speed, and help you keep your entire team improving forever. When you’re hiring customer service professionals, there are five critical skills to be looking for. Empathy is the single most important customer service skill. Because if you want an employee to help your customers be happy and successful, it’s important for that employee to understand what happiness and success mean to your customers. And if you want an employee to help your customers out of a jam, it’s crucial for that employee to understand exactly how being in that jam is making the customer feel. To do that, they must step into the customer’s shoes. Spend time with people who are different than you. Your team has many opportunities to do this each day. Encourage them to strike up a conversation with the barista at their coffee shop, or simply engage with colleagues in other departments on a regular basis. Get a set of IDEO Method Cards. These cards are designed to help your team better understand the way your customers think and feel. While originally built for designers, they’re a fantastic tool for anyone looking to work on their empathy. Take an acting class. There’s literally no job in the world that calls on you to step into someone else’s shoes more than acting, and having new team members take a class is a great way to learn how to do that. Positivity, in this case, isn’t the kind you’d normally find on motivational posters and all over your most annoying Facebook friend’s wall. As a customer service skill, positivity is about the language you use to communicate with your customers. Subtle differences in word choice can make a huge difference in the way a customer perceives a support transaction. Look at these examples of negative language. What do they really mean? Unfortunately: I’m about to tell you something bad. As you know: I’m putting you in your place, and confirming your worst suspicions. I’m afraid that…: Just like As you know, this one invariably always comes before bad news. Negative phrases immediately put the listener on the defensive. On the other hand, positive phrases can completely change the way your customers interpret what you’re saying. Train your support team to replace negative words with positive ones. These tiny changes can lead to dramatic differences in the customer service experience. Patience is more than a virtue. It’s also a customer service necessity. You will deal with angry customers. You will deal with customers who need extra attention to understand some things. You will deal with some very challenging situations. The worst thing you, or anyone on your team, can do is lose your cool. Patience not only helps you deliver better service, but one study from the University of Toronto found that being impatient not only impedes our ability to enjoy life, but it makes us worse at doing hard things (like delivering great customer service). Understand the addictive nature of anger, irritation and outrage. The more you feel these emotions, the more like you are to keep feeling them. Understanding that makes it clear why it’s so important to be more patient. Pay attention to when the irritation/pain starts. Find the cues that cause you to lose your cool. That way, you can correct course before it’s too late. Control your self-talk. The things we say to ourselves have an uncanny ability of coming true, whether they’re positive or negative. So when you say “this customer is really starting to piss me off,” instead of, for example, “this is a tough situation, but I’m going to stay calm and do what it takes to solve the problem,” it can have a big impact on what the reality becomes. Clarity in communication is probably the easiest skill to spot in job applications and interviews, and one of the most important things that everyone should learn, especially those of us in customer support. It doesn’t just make customers happier. It can lead to big business wins, too. What if your team could send one less email per support interaction because they didn’t have to clarify anything that your customer didn’t understand the first time? 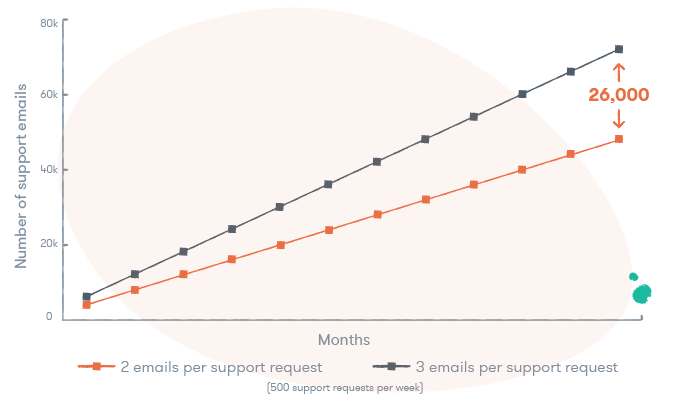 If your team fields 500 requests each week, that’s 26,000 fewer emails sent in a year. That’s a great argument for training your team to practice crystal-clear communication. To train clarity, one tip I’ve found incredibly useful comes from Reddit. Specifically, from the Explain It Like I’m 5 subreddit, where experts distill complex topics and explain them as if the reader were five years old. If someone didn’t understand what those things were, this would be a perfect, clear rundown that would instantly and easily make sense. Practice ELI5 exercises with your customer service team, having them take complex topics – product-related or not – and write concise, simple and clear explanations. Show these explanations to someone who has no knowledge of the subject matter to see if they can understand it instantly. The more you practice this, the clearer your writing will become. The final critical customer service (and really, life) skill is continuous improvement. Train your team to get better every single day, week, month, quarter and year. Because even if you’re not improving every day, your strongest competitors are. Training your team to pursue continuous improvement requires two things: motivation and measurement. My favorite approach for motivation is the one percent goal: every day, strive to improve just 1%. Use 1% more positivity in your emails. Respond 1% faster to incoming tickets. Try to improve your customer satisfaction score by a single percent. 1% seems like a small amount. And it is a small amount. It’s tiny. It’s easy. It’s doable. Today. If you improve 1% a day you will improve 3800% in a year. Once you have a clear, doable goal in mind, the next thing you need to do is track your progress. 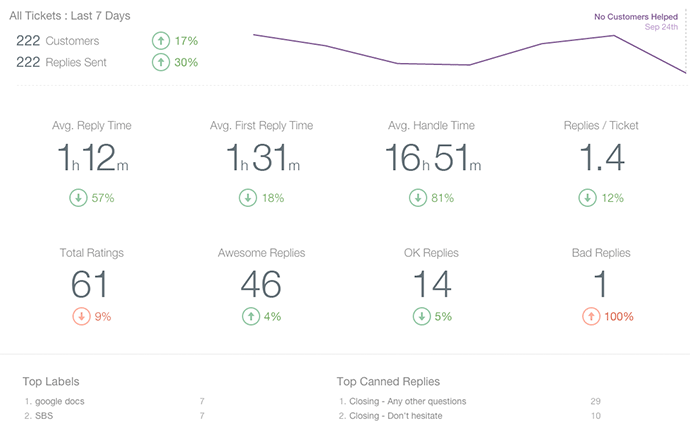 We track our metrics with Groove, but you can measure progress with whatever tool you’re using for support. Even a simple spreadsheet or pen and paper will work. Each week, take note of the stats that matter most: average reply time, average handle time, replies per ticket and most importantly, customer satisfaction feedback. You’ll begin to build a strong culture of continuous improvement across your entire support team. The five critical customer service skills are the most important thing you should hire for, and training for them is an ongoing pursuit that never stops. But the effort is worth it. 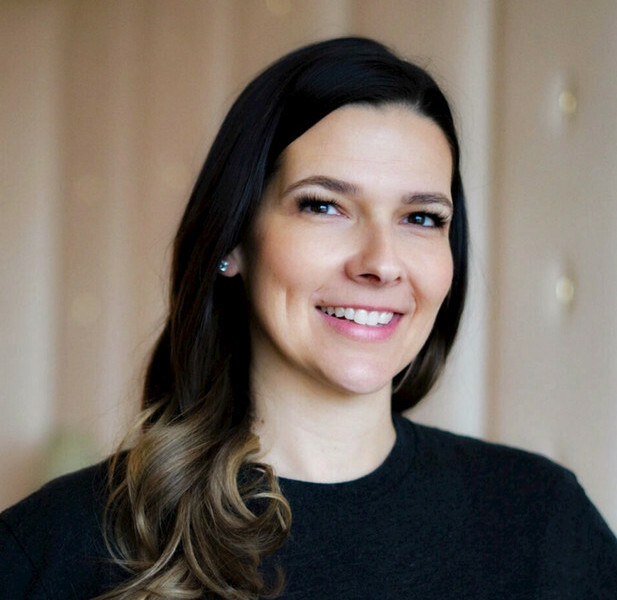 When a support team member first comes on board, however, they’ll need to develop a familiarity with your product, team and customers so that they can be effective at their jobs. Before a support employee ever interacts with a customer, they should spend enough time inside of your product to give a confident demo and answer every common technical question about it. Have them spend a few days testing the product and studying your Knowledge Base (and your Knowledge Base had better be good; more on that in an upcoming post). This is also a good time to assign a mentor to the new hire. The mentor should be a more experienced member of your support team, and they’ll be helping turn your trainee into a customer service all-star. In this stage, the mentor should test the trainee on their product knowledge, asking the types of questions that come in every day from your customers. Don’t skip this step in the temptation to get someone “on the front lines” faster. An uninformed support employee will frustrate your customers and slow your entire team down. This can take place at the same time as product education, and is equally important. Have each new employee “shadow” their mentor to learn the way your business communicates with its customers. The easiest way to do this is to use a help desk that gives employees visibility into other team members’ tickets. In Groove, we also use the Private Notes feature to let new employees ask questions of their mentor. Once an employee knows the product, the relationship you have with your customers, and is familiar with your customer service tools, it’s time to get them started delivering support. For the first couple of weeks, flip the script: now, the mentor shadows the trainee. This way, the mentor can provide feedback on the trainee’s performance to help them improve, answer any questions that the new employee has, or jump in to help resolve issues where necessary. After the trial period, you should have a fully-trained customer service pro, ready to take on the world! Because continuous improvement is one of the critical customer service skills, we never stop training. There’s always something we can be doing to get better at delivering awesome support to our customers. By following the steps above, you can turn new hires into support pros, and support pros into one of the most effective assets your business has. Lisa Foster Lisa heads up the customer success team. She's helped thousands of Groove customers achieve their goal—make simple support a reality. You can usually find her answering emails in Groove or running a demo or training. Len Markidan Len used to head up marketing at Groove. Though he has now moved on to other adventures, he still likes popping in and saying hi every now and then.